According to recent surveys, 99% of our alumnae would recommend Meredith to others (and do!). Alumnae are wonderful ambassadors for the College. You understand instinctively who will thrive at Meredith, what makes us strong, and can relate your own positive experiences to prospective students. If you know a young woman who might be a good fit for Meredith, we invite you to help her make a connection with us. Encourage her to visit campus—or bring her yourself to a Discover Meredith event. Suggest that she find us on Facebook, Instagram, and Twitter. Share a copy of Meredith Magazine with her. Suggest that she subscribe to the Admissions Blog. If she’s further along in her college search process or interested in the graduate school at Meredith, you can provide her with a voucher that will waive the application fee. Your encouragement may very well change her life. 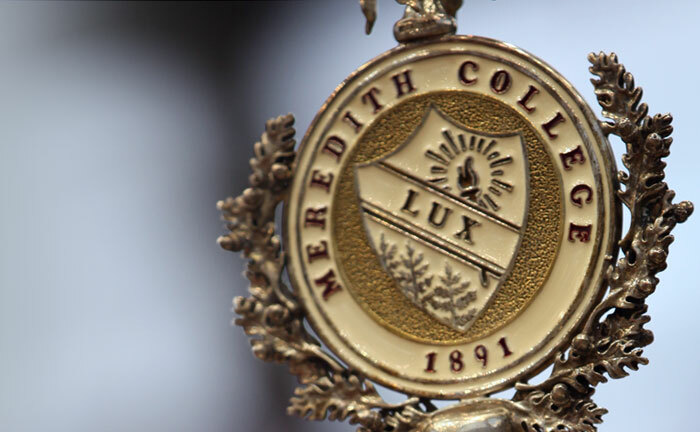 Another opportunity for alumnae to assist in new-student recruitment at Meredith College is to become an Alumnae Recruitment of Meredith Students (ARMS) volunteer. Alumnae have the opportunity to assist our admission staff at college fairs both in-state and out-of-state, correspond with prospective and admitted students via e-mail, assist at on and off-campus recruitment events, and refer students to the College via our online referral form. The Office of Admissions values the potential impact of alumnae for building and shaping each new class of Meredith students, so we welcome alumnae to become a part of ARMS. Please contact Anna Lambert, Assistant Director of Admissions, at amlambert@meredith.edu for more information. In addition, if you know a student who would benefit from a Meredith education, you can also send us her information so she can be added to our mailing list. Please send us her name, mailing address, graduation year, telephone and email address. If you prefer, you may call the Office of Admissions at (919) 760-8581 or 1(800)MEREDITH.